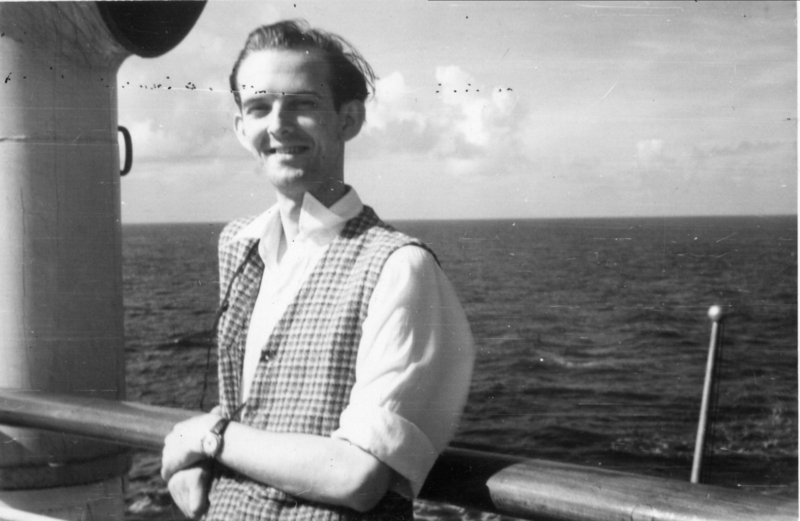 Bill Nielsen July 4th, 1947, after leaving Nassau, Bahamas on s/s Evangeline. Description Photo has black speckles. Transcription Bill Nielsen July 4th, 1947, after leaving Nassau, Bahamas on s/s Evangeline. Physical Description H 3"" x W 4.5""